Whoa, Nellie, did we bring in the Western Americana to our space at Exit 55 Antiques! You might recognize the antique burlap feed and seed sacks from this post on how to clean them. (They turned out super, don’t you think?) 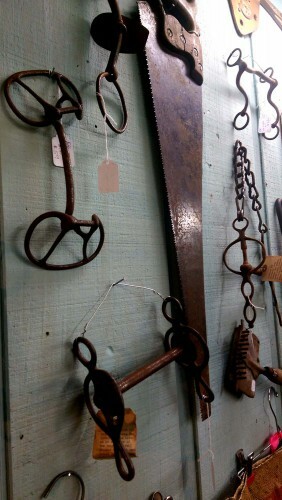 The old horse bits and antique curry comb were more deaccessioned items from the Bonanzaville museum auction. The vintage painted “Do Not Sit Or Lean On Rail” sign came from that pick at Ida Carlson’s Barn. 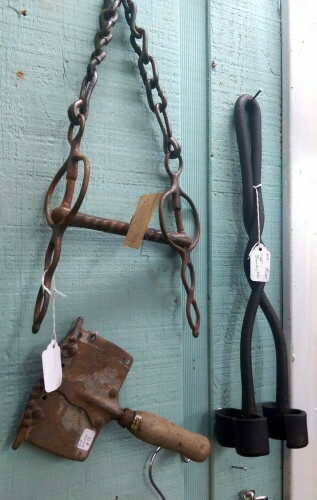 The old saw and old branding iron we got at other farm auctions. 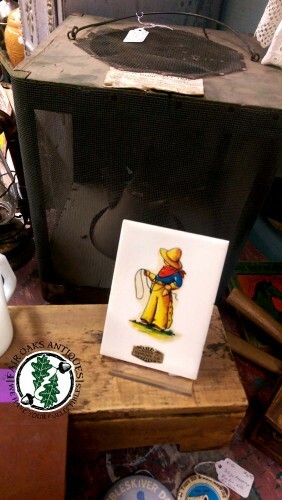 Shown here are a few more bits from The Old West… An antique, patent pending, fly trap called The Wonder Fly Trap, a nifty unused photo-album or scrapbook featuring a cowboy riding his buckin’ bronco, a vintage milk glass mug promoting Wyoming, antique wool cards, and (my favorite) a vintage travel souvenir from Yankton, South Dakota — a ceramic tile featuring a decal of little cowboy. 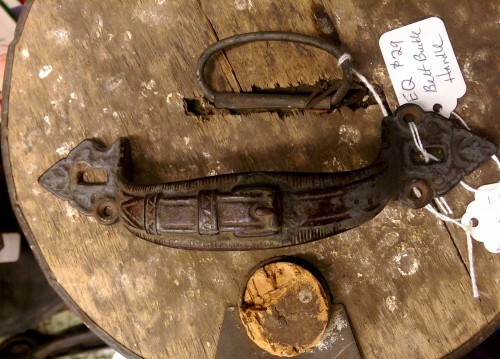 We have lots of other antiques with Western flair hidden in our space too… Like this old door pull or handle that looks like a belt, complete with buckle. 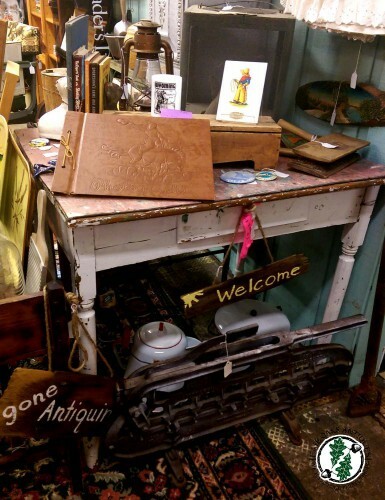 Stop in & see what you can find that makes you say, “Whoa, Nellie!” Exit 55 Antiques is located on I-94 in Fergus Falls, MN. It’s open 10 am to 5 pm, seven days a week. You can contact us or call the shop at (218) 998-3088 if you see something you like. Exit 55 Antiques is a multi-dealer shop; we are known as dealer “EQ”. One Response to "Westward Ho! 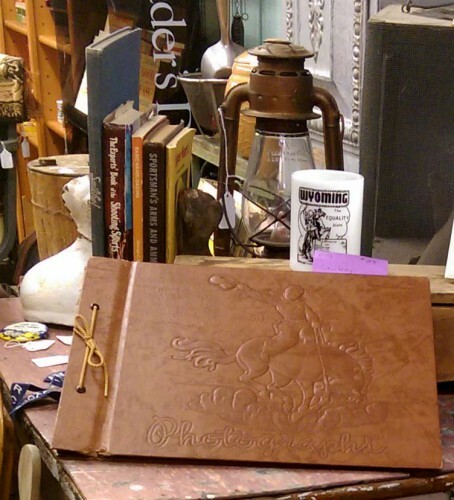 Antique & Vintage Western Americana"